In satellite ground stations, the Bias Current for LNBs has to be provided by special power supplies, which also monitor the current supplied to LNBs. Traditionally, these power supplies can consume scarce rack space inside a facility. 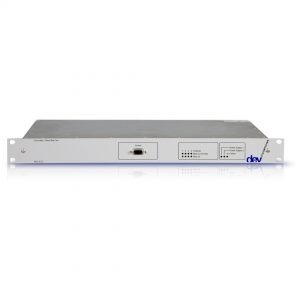 DEV Systemtechnik has developed a series of L-Band multi-channel Bias Tees for professional use: the DEV 8122 and DEV 8123.They offer rack-space-saving LNB Powering solutions. The DEV 8122 and the DEV 8123 Bias Tees are 1 RU devices, with two or four channels. The DEV 8120 is intended for larger applications and provides convenient channel monitoring and Bias Current monitoring capabilities. The 3 RU DEV 8120 chassis can be equipped with up to 27 dual channel Bias Tees. 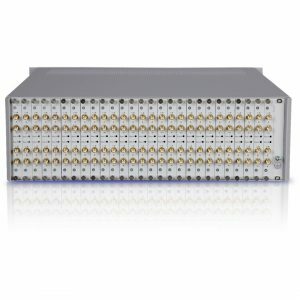 In addition, all DEV Systemtechnik’s RF over Fiber L-Band Tx Modules can also power LNBs.